Evergreen Washelli hosted its annual Veterans Day Service on Monday, November 12, 2018. 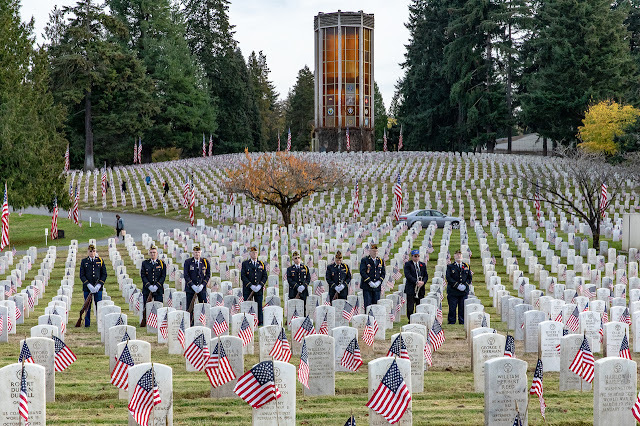 The day began at 7:00am with flag placement in the Washelli Veterans Cemetery, followed by a band concert at 10:30am and a Service of Remembrance at 11:00am. The cemetery is located at 11111 Aurora Ave N.